This, much reproduced drawing, was made from life by François Gérard at a session of the Convention. Conjecturally, it was a study for the oil painting listed among Robespierre's possessions after his death, and destroyed by Simon Duplay in 1815. 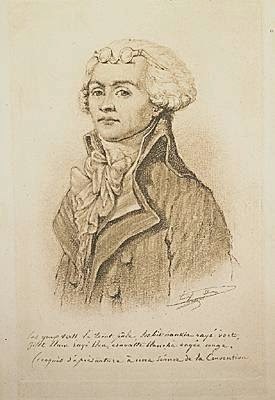 The notes on the bottom suggest the colour scheme for a portrait: "Green eyes, pale complexion; coat of green stripes, vest, blue stripes on white, cravat red stripes on white". The pose and costume are temptingly similar to the Carnavalet portrait, though the facial features are different - his eyes engage the viewer with that telling soupcon of regret. 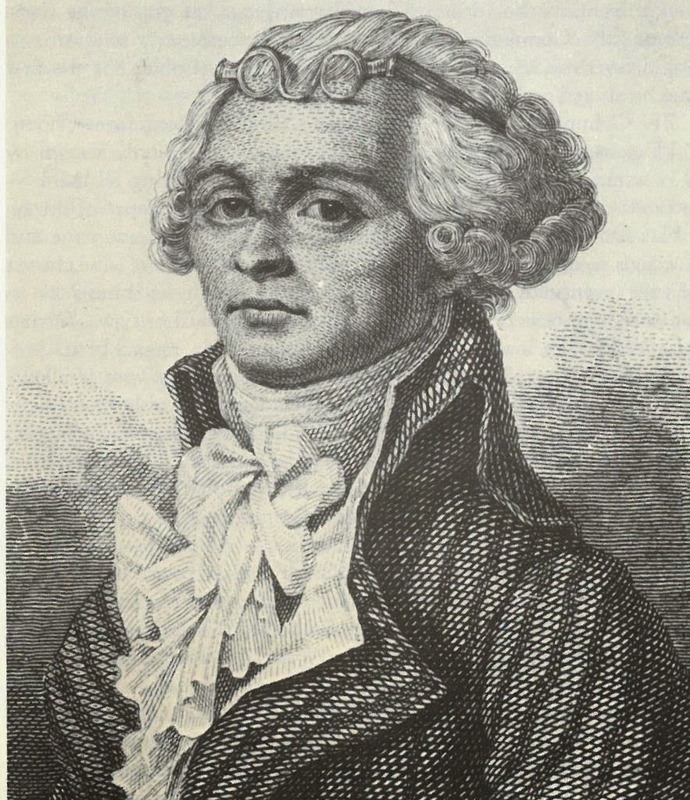 David Jordan reproduces this 19th-century copy which softens Robespierre's image still further. Jordan, David P. The Revolutionary career of Maximilien Robespierre, New York: The Free Press (1985) p.254-5.